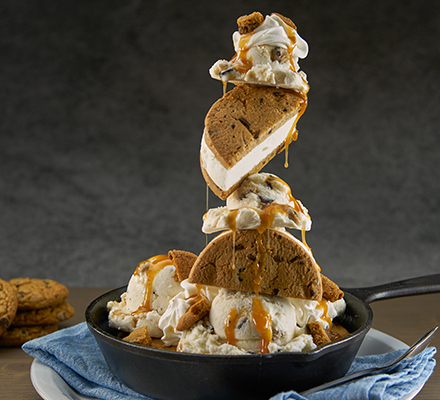 A chocolate chip cookie skillet topped with cookie dough ice cream, stacked with a chocolate chip cookie ice cream sandwich. 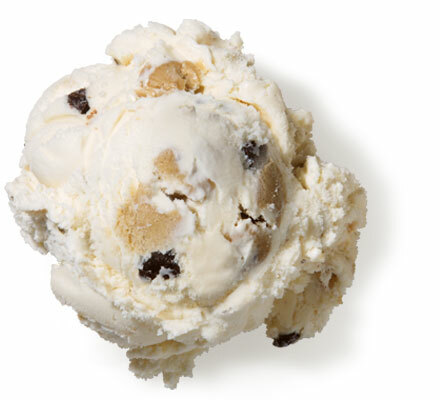 Topped with whipped cream, drizzled with salted caramel sauce, and sprinkled with chocolate chip cookie crumbs. 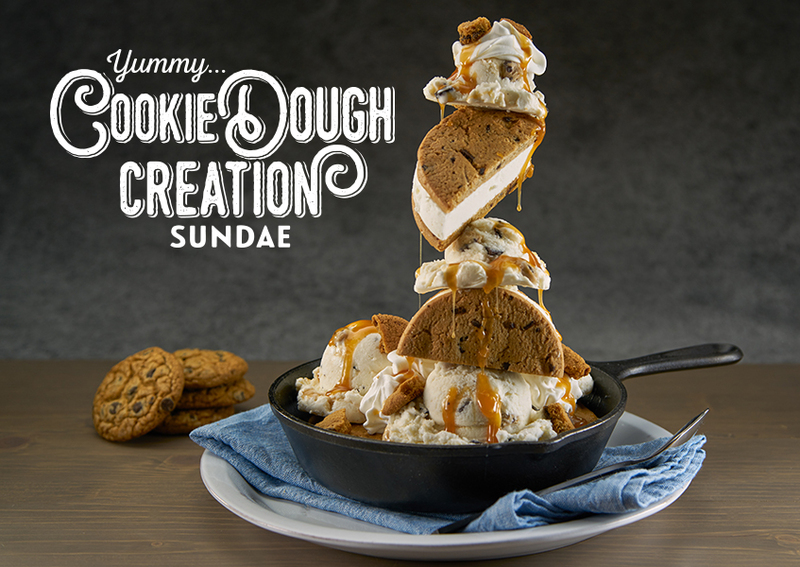 Place 3, #12 scoops of ice cream in a pile on the cookie skillet. Place a 12” skewer down the center of the dish. Add ½ of the ice cream sandwich to the skewer. 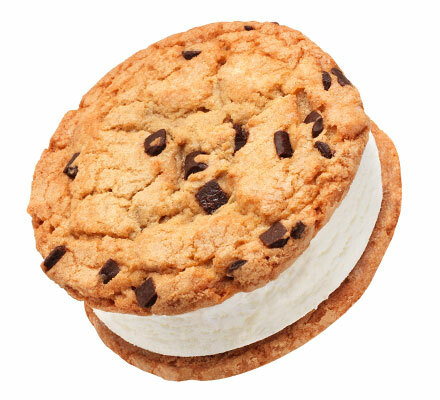 Add 1, #20 scoop of ice cream on top of the ice cream sandwich. Top with the other half of the ice cream sandwich and 1, #20 scoop of ice cream. Garnish on top and around with whipped cream, salted caramel and crumbled chocolate chip cookies. Pre-scoop ice cream and freeze for a firm set, so ice cream will take longer to melt.